Leave it to Portland’s puppet impresario Red Yarn to cook up something just right for music-loving familes. He’s launching a “Fambly Ramble” monthly concert series featuring national and local bands (and a variety of kid-friendly activities). The fun begins on Saturday, March 5th at the Clinton Street Theater in SE Portland. Red Yarn and his family band will open for Parents’ Choice Award winning band The Harmonica Pocket. Two more concerts, featuring 2016 Grammy Award winner Tim Kubart and Grammy nominee Gustafer Yellowgold, will follow at McMenamin’s Mission Street Theater in April and May. More shows are in the works. 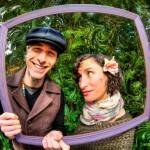 Based in Port Townsend and part of Seattle’s vibrant Kindiependent collective, The Harmoni ca Pocket performs with a hula-hoop, a ukulele, vocal harmony and a suitcase of props. Featuring imaginative renditions of American folk classics plus an array of silly, sweet originals from their award-winning albums, their shows mix music and dance into a giggle-inducing and highly interactive show. Red Yarn will open with “Deep Woods” folksongs and puppetry, for which he has gained thousands of fans. Details about the show and tickets ($8 advance) are available here. Learn more by reading media sponsor NW Kids magazine‘s feature. 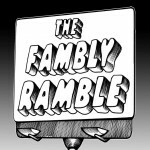 Join the Fambly Ramble Facebook community to receive event updates.